New Year’s Resolutions: this is how you make them happen! New Year’s Resolutions, we all have them, we all make them and we almost always break them… Why is that? Aren’t we making the right resolutions or am I just a weak person who cannot maintain my goals for the new year? Be honest, we all make them, the resolutions for the beginning of the year. Did you know that last year, in the first week, a large proportion of the new year’s resolution making people have already given up. This is not a good sign off course, that is why we wrote a few small adjustments in your resolutions so that this year you will maintain your resolutions! Why do you want to improve yourself? Before making those life-changing choices, it is important to consider why you are doing something. When you have intrinsic motivation, it means that you are making choices based on your own believe. But when you are making resolutions based on extrinsic motivation, it means that you are influenced by an outside factor. A few examples will be: ‘My wife wants me to loose weight’ or ‘My boyfriends wants me to…’. It is important that you choose your own goals, this way it is easier to maintain them! Instead of saying: ‘I want to lose weight’ set your goal to: ‘I want to exercise twice a week’ or ‘I want to eat vegetables every meal’. This makes a large, far-reachable goal better manageable. Do not bring yourself in seductive situations, at least not for the first month. Friends or family will ask you to come drink or go out to dinner. You have to avoid these types of situations. Try to meet up after dinner and just have some drinks or meet at your house instead of at the bar! Tell as many people possible about your goals. When your friends and family know about your goals, they will support you more. They won’t show you the cheese platter at a party just because they love and support you! If you really want to work on you New Year’s Resolutions but you don’t think you can do it on your own. 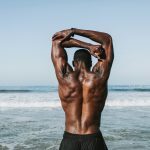 Think about a personal coach or trainer. When you get help from a professional they will help you get to your goal in a healthy way. 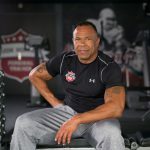 At Jon Horton you get Personal Training and Nutrition Advice bring those New Year’s Resolutions ON! Check out our Trail Lessons! 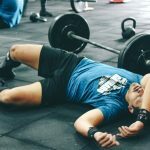 Of je nou in shape wil komen, kampt met stress en een burn-out, of een flinke boost aan motivatie nodig hebt: Jon staat voor je klaar. Wil je graag weten wat hij voor jou kan betekenen? Boek dan gratis en vrijblijvend een proefles in Utrecht. Get Ready For Summer TOGETHER!